The use of the Yarrow medicinal plant can be traced back to the time of Achilles, the hero in Homer's Iliad. It had been a belief that Yarrow was used to treat Achilles' injured heal, hence its botanical name "Achillea Millefolium." Blue Yarrow essential oil was named so because of its deep blue color, which is produced when the substance chamazulene is discharged during the steam distillation to extract the oil. It features green, sweet, and lingering scent. 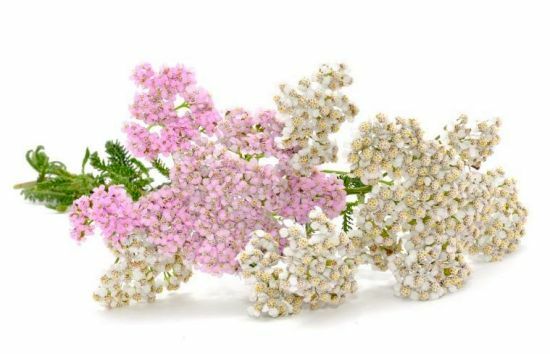 Yarrow essential oil can be used efficiently in relieving pain and swelling, getting rid of germs, caring for cuts and wounds, improving functions of the reproductive, circulatory, and respiratory systems. It is widely used in aromatherapy for its sophisticated and unique blend of scents. Blue Yarrow essential oil can be combined well with black pepper, bay, bergamot, chamomile, cedarwood, clary sage, grapefruit, cypress, lavender, oak moss, neroli, pine, vetiver, ylang ylang, and valerian. Get Your Yarrow Essential Oil Now! This actually is my favorite single essential oil. It has the most powerful calming effect.. Many medicinal uses that are easy to google. But for balancing your energies I would recommend this the most. I would caution using in small diluted doses or a couple drops in your difuser. It can have nuero toxic effects if you overdose so be careful. You will know if you use too much because it will give you a headache and not because of the fragrance which is wonderful. It has a minty smell to it. Overall my favorite essential oil.